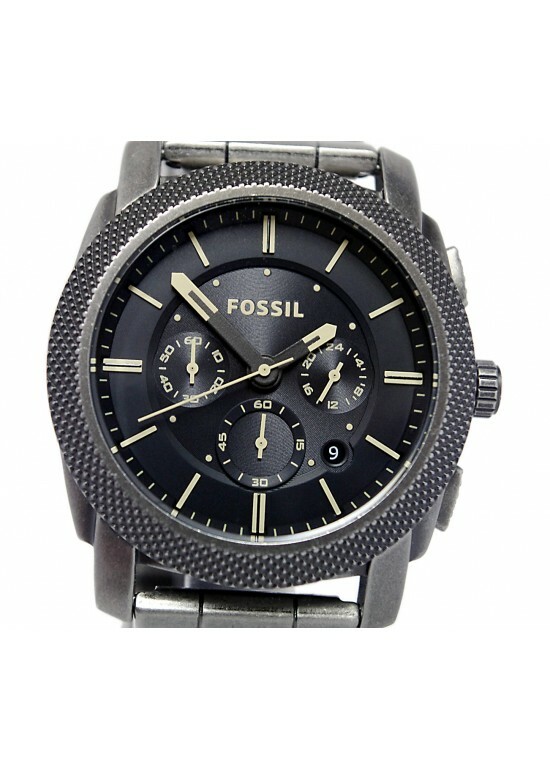 Fossil chic and elegant Fossil Machine Stainless Steel Mens Watch - JR1396 is a fashion “wow” statement. This elegant and beautiful watch is easily dressed up or worn casually. This beautiful Round Stainless steel case has a 45 mm case diameter and 13 mm case thickness. The case back is Screw Down and the bezel material is Stainless Steel. This timepiece also has Quartz movement with Chronograph, Measures-Seconds. This Analog Black features. A Mineral crystal protects this beautiful Fossil timepiece. The bracelet of this Fossil Machine is made of Stainless Steel and measures approximately 24 mm in width. The watch clasp type is Fold Over. This watch is water resistant up to 50 Meters - 165 Feet. Its calendar uses a Date functionality.